With all the upsetting events happening out there, here is a jailbreak story that’s something to smile about. 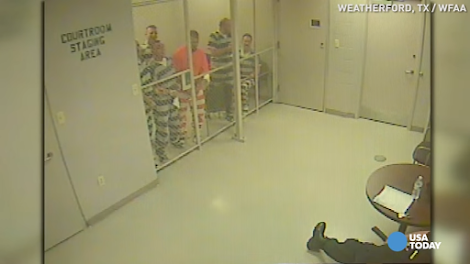 A group of inmates broke out of their holding cell to try and help a jail guard who suddenly lost consciousness due to a heart attack in Texas. Eight Parker County inmates, with some incarcerated for violent crimes, were locked up in a cell at the basement of the Weatherford District Courts Building when the jail guard keeping an eye on them slumped over from an apparent cardiac arrest. 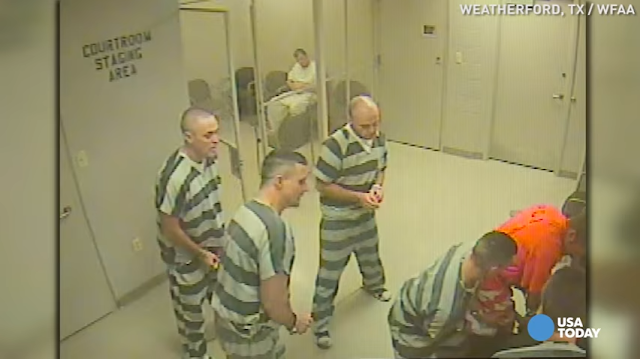 Putting themselves at risk, they managed to bust out of their cell while still shackled to save the guard by catching the attention of the other officers above.